NEWSFLASH: people of colour lived in Europe in medieval times and beyond. In some cases, they were born and died here, too. Who knew? Well, people of colour living in Europe in medieval times of course, because they were VERY DEFINITELY here. Not to mention all my British and European Bang2writers here today who are descendants of said people. Doh! Where does this ridiculous assumption come from? Well, white people of course, some of whom appear to assume the first migrants who made it to Britain were The Windrush Generation (currently in the news, if you’ve noticed). Not only is this not true (plenty of other countries are available! ), BAME people have been here and on the continent throughout history. More on this, next. YES, there *should* be diverse stories; YES there *should* be lead characters who are people of colour; but said characters should only be REALISTIC PORTRAYALS and not ‘forced’ into the story to fit some kind of ‘agenda’. If the above looks okay to you, then I agree that it’s on the right track. It IS a bad idea to force diversity into a story for the sake of it, to tick some kind of box, because the character becomes wooden and inauthentic. But then this is the case for anything in storytelling, diversity included, not as some random outlier. … Yes, you guessed it: this list nearly always includes historical fiction and period drama (TV and movies), especially those set in Britain or the Continent, where there were fewer slaves than the United States. Yes, apparently only slaves are admissible as ‘realistic’ for some white writers to consider them for their historical pieces. Eeek! Not only is this literally offensive (‘Slavery is the most interesting thing about the history of black people‘), it also erases the many, many other ethnicities (whose depiction on screen is even rarer!). In Victoria and Abdul (2016), Queen Victoria strikes up an unlikely friendship with a young Indian clerk named Abdul Karim. 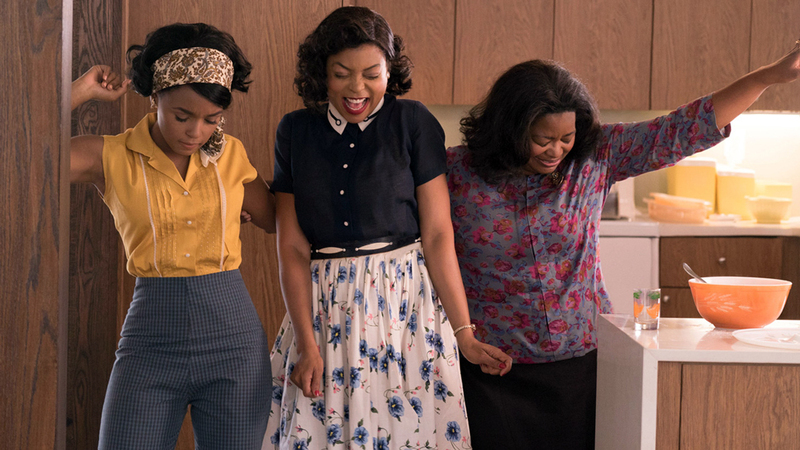 Hidden Figures (2016), which told the true story of three mathematicians who made the calculations necessary for the NASA moon landings (and all three happened to be women of colour). Set in 19th Century England, Lady Macbeth (2016), the aforementioned lady of the house takes a BAME lover and causes scandal. Belle (2013) told the story of the mixed-race daughter of a Royal Navy Admiral, who is raised by her aristocratic great-uncle in 18th-century England. The biopic Shirley (2011) tells the true story of singer Shirley Bassey, who being born mixed-race and in poverty in 1938 England is the start of an epic climb to stardom. 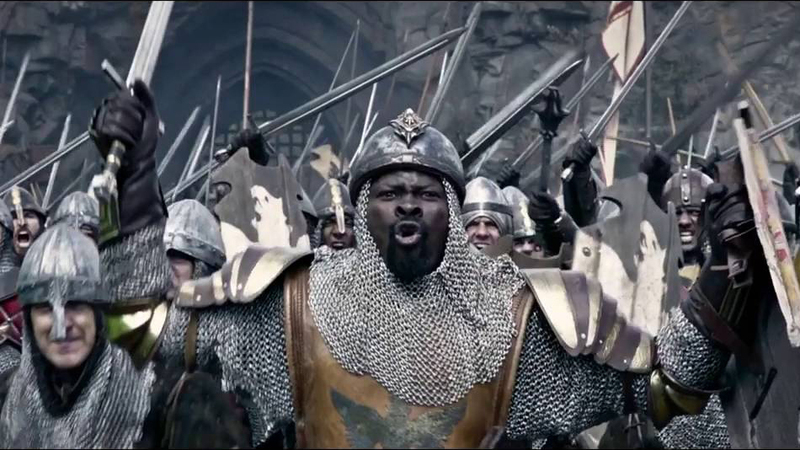 King Arthur: Legend of The Sword (2017) showed a different version of the legend that included black knights and BAME knights and an East Asian mentor for the boy Arthur. Because, why not? It’s a bloody legend! Whether you liked these films or not, the point is there are plenty of ways to include people of colour your historical story. It’s already begun in earnest. I predict this will continue … and savvy writers will find out everything they can about the possibilities, because varied storytelling is great storytelling. i) Muslims in Spain. We all know the British basically invaded everywhere and ended up creating entire nations like The USA, New Zealand and Australia out of its colonies (that’s the short version). But did you know the Moors invaded Spain, waaaaay back in 711? This is why there are so many Muslims there. ii) Romans were black, too. Similarly, TV dramas and movies may have us believe the Roman Centurions were all white dudes, but the reality is many were born in Africa and were black. The most famous recorded black Romans in the UK were those at Hadian’s Wall. Black Romans were not just foot soldiers either, they were rulers: Lucius Septimius Bassianus, commonly known as Caracalla, was a Black Roman Emperor who ruled from 211 to 217. In other words, it’s more difficult for people to rise up against you when a good chunk of them are related to you. Wow. Can you imagine THAT version of Ghengis Khan in a movie? iv) Black Britons. In his book, Black And British: A Forgotten History, historian David Olusoga shows that not only Black Britons fought at Trafalgar and in the trenches of the First World War, but that black history is interwoven into the culture and economic history of this island dating back centuries. In her own book, Black Tudors: The Untold Story, author Miranda Kaufmann traces the history of Africans living free in and around the courts of famous icons like Henry VIII. v) Asian Britons. Given Britain’s colonial history, especially it is unsurprising that British Asian makes up 6.9% of the UK population, according to Wikipedia. However, many people assume this was only the case after WW2, which is untrue – Asians’ presence in Britain dates back a good four hundred years at least. Here is a starting point as an outline of Asians in Britain, 1600-1947, courtesy of the British Library, plus you can also check out Asians In Britain: 400 Years of History, by Rozina Visram, which traces and investigates many primary accounts. v) British Chinese. The first recorded Chinese person to visit Britain came in 1685; now there are roughly 400,00 British Chinese people here. You’ve probably been to Chinatown in Soho, London but what you may not know is that it’s no modern thing – it’s been there since the 17th century. Many Chinese people here were seamen, whose families later had to find work on land when merchant shipping declined after WW2. IN FACT you may not be aware there were six Chinese survivors of The Titanic … Yes, THE Titanic. Read about their story, HERE. Or, y’know, why not talk to some actual historians? There’s plenty of them about on social media and guess what! They love talking about history! 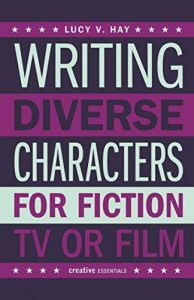 When I was researching my book, Writing Diverse Characters For Fiction, TV & Film, I consulted with three of them in depth AND chatted informally to a bunch more, all found on social media. Easy peasy, baby! All this is just for starters, people!!! All of these facts above made their way to me, by (amongst other things) just five minutes of Googling … Not by this mythical ‘diversity force’ so many (white) people online seem to wail about. (Also ‘diversity force’ sounds awesome, do we get badges??). I keep my ears and eyes open for things I don’t know. I accept my own white bias may get in the way of me discovering INTERESTING STUFF. As a writer, why would you want to close your mind to that???? We’re supposed to WANT to be interested in new ideas and POVs!!! So, forget about politics and agendas, we’re writers, we should actively WANT to find stuff out we didn’t know as – surprise! – it makes us better writers. What’s not to like??? The fact that audiences have mostly seen and read black characters depicted as slaves and servants with walk on/walk off parts in historical stories doesn’t make it true. Yes, I am stating the obvious. We wouldn’t say BAME people don’t exist in the future (thank you Disney’s Star Wars! ), so why on earth would (white) people say they didn’t exist in the past, except for subordinate roles??? But many white writers have an EPIC blind spot when it comes to historical tales and people of colour. Whether you think storytelling is political or not, you surely can see how BORING it is to see the same thing, over and over again? Available from Kamera Books’ Creative Essentials range in both paperback and ebook. BUY NOW. i’ll see your 17th century Chinese and raise you, Lucy – according to some historians, the Normans hired several Persian and at least one Chinese mason to work on the construction of Norwich cathedral and castle from 1095. Groovy, huh? Aha, well found! Makes sense, the Persians were master builders and architects. I’m so passionate about inclusion. I’m so excited by the changes that are happening and will happen. Inclusion only enriches. Once again, thank you Lucy for being a champion to ALL. Although you’re bound to get the haters coming atcha. I’d love you to read my script about John Kent, Britain’s first black police officer. So true! Diversity makes stories BETTER! It is so simple. As for the haters, happy to take em on and keep em away from marginalised creatives. Glad you liked the post, thanks for telling me! I LOVE that you have written this. I’m both an aspiring screenwriter and history graduate and it is a constant source of frustration that so many writers see period drama (or period films generally) as an exclusively white space, which is utterly nonsensical. More writers should be looking to they types of examples you mention – not to be ‘politically correct’ but to simply be more interesting, fresh and original. This is all untapped territory, why do another Jane Austen adaptation (no offense to Austen, but it has been done) when you could be writing about black Tudors or North Africans in 8th century Spain? To call one of the most notorious rapists in history, a man responsible for death of approximately 40 million pepole Genghis Super-Stud is quite a statement. Not really, once you actually consider the context AND subtext of the rest of the description about him. Am I the only one vomiting at the incessantly growing plethora of idiotic acronyms? Yes how dare marginalised people ask to be addressed the way *they* prefer instead of the way that makes YOU feel uncomfortable! How unreasonable!